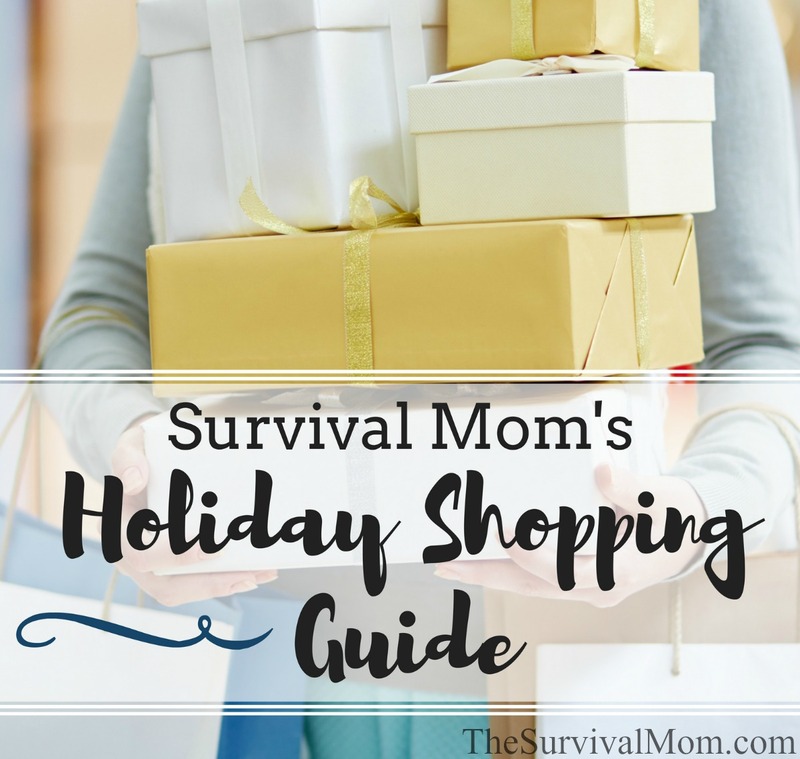 This year, my list of recommended holiday gifts is quite a collection. A bit of an odd lot, if I say so myself. However, I’ve used every single item on the list and have provided brand names and links so you can track them down yourself. There is, truly, something here for everyone. In a former life, I was quite the expert when it came to cookware. 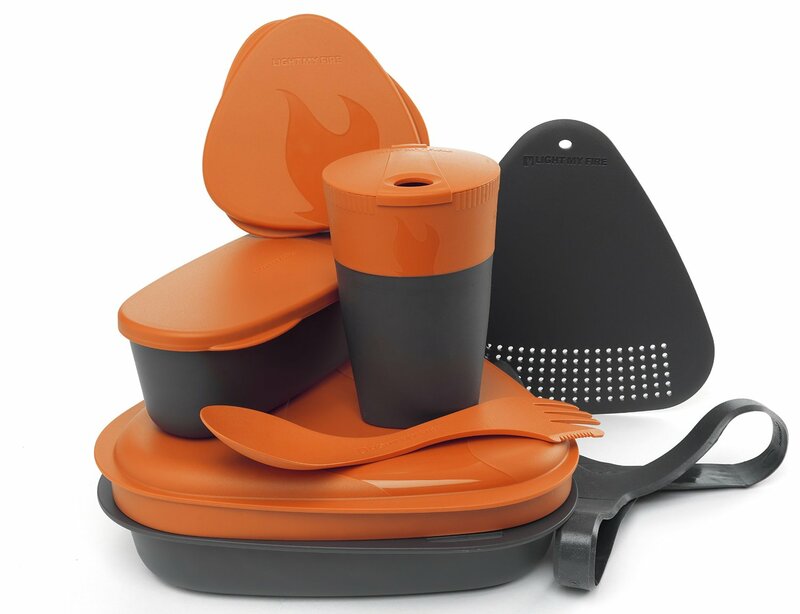 I tested multiple types and even sold high end cookware. When I first tried the Dragon Pot, though, I wasn’t prepared for a pot that heated up so quickly, easily faster than my non-stick, stainless steel, and cast iron pots and pans. 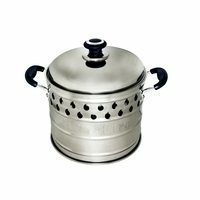 I love this pot and use it every time I cook a pot of soup, beans, or need to boil water quickly. The one caveat I would mention is that the entire pot, including the handles, gets very hot, very fast, so be sure to have potholders handy. This page gives an extensive explanation for the design and functionality of this versatile pot. 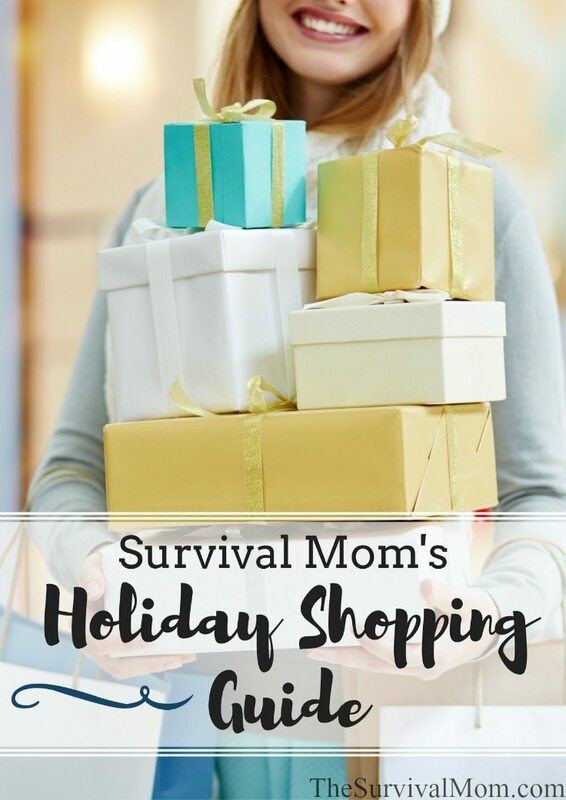 Shipping is included in the price of the stove when you order it from Survival Mom Store. I own many, many! 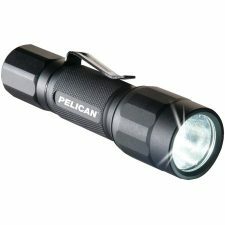 flashlights, but when we were in Iceland this fall, my handy Pelican LED flashight outshone them all. A few late nights when I had to make my way to the campground bathroom, I couldn’t believe the broad spread of light from this tiny unit. It’s solid, sturdy, and would make a great stocking stuffer. Priced right around $27. I said this list was a little crazy, and now I’m proving it with the inclusion of tights, of all things! Getting ready for Iceland, I was terrified that we wouldn’t be warmly dressed. This comes from a long-time resident of Phoenix and now Texas. I heard about fleece lined tights through the grapevine, and let me tell you, when I put them on for the first time, I was in cozy-cuddle heaven! 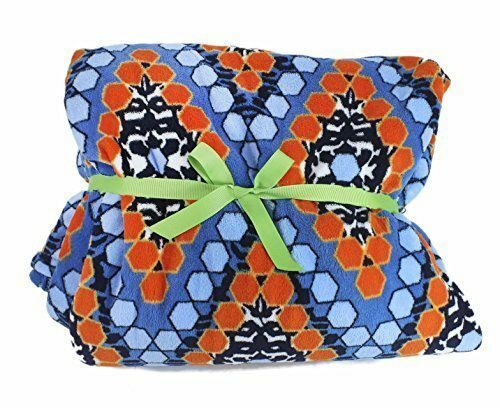 If you live in cold weather or will be spending time in frigid temperaturess this winter, YOU NEED THESE!! My husband wouldn’t admit it, but I think he was jealous!! They’re a very thoughtful gift, too. Here’s a great gift that is 2 products in 1, both an excellent knife and a firesteel fire starter. My family has had these in our emergency kits and camping gear for many years. They come in different colors, which makes them either easy to spot in a kit or bag (bright pink or orange, for example) or blend in with your regular, nondescript gear (black). 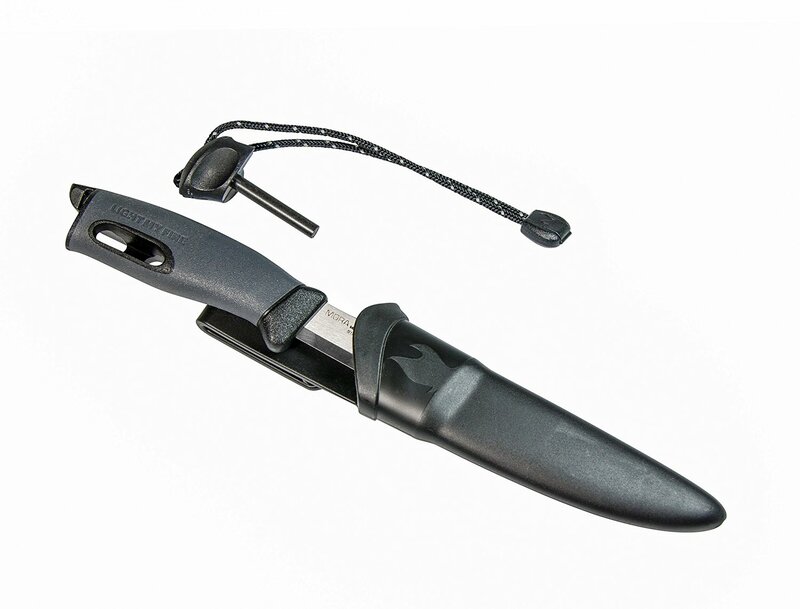 The Swedish Fire Knife has a good quality, fixed steel blade. Another product made by the Swedish Fire Knife folks is this mess kit. Its’ 8 pieces includes a small cutting board, a spork, and a “harness” that holds the entire kit together. When I saw that it came in 7 different colors, I knew I had a winner. I let each kid pick their own favorite color and now that’s one less argument! Socks and underwear for Christmas. Not much better than a lump of coal, right? Well, the right pair of wool socks will rock your world and change your mind about getting “just socks” for Christmas. Being a desert gal for most of my life, flip-flops were the name of the game when it came to footwear. However, when you’re out hiking or just wearing most any type of closed-toe footwear, wool socks are far more comfortable and absorbent than cotton. A nice bonus is that they don’t absorb odors. When we’re out in the wilderness, doing our primitive camping and with no access to laundry facilities, we just hang our socks around the tent or draped over branches and let them air out overnight. 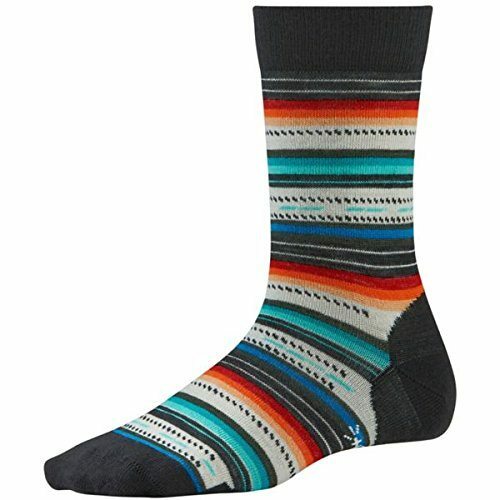 I own wool products from both Smartwool and the REI brand and can recommend both. Speaking of surviving in the great outdoors, one cooking method that requires no fuel other than the sun is solar. 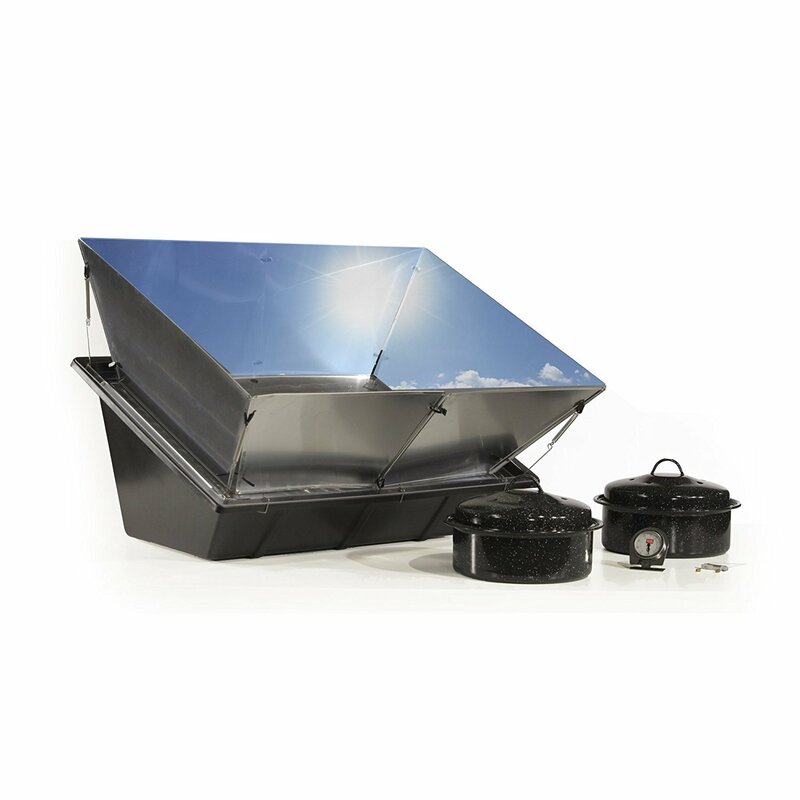 With a solar oven, the oven’s design and the sun do all the work, leaving you free for other activities. 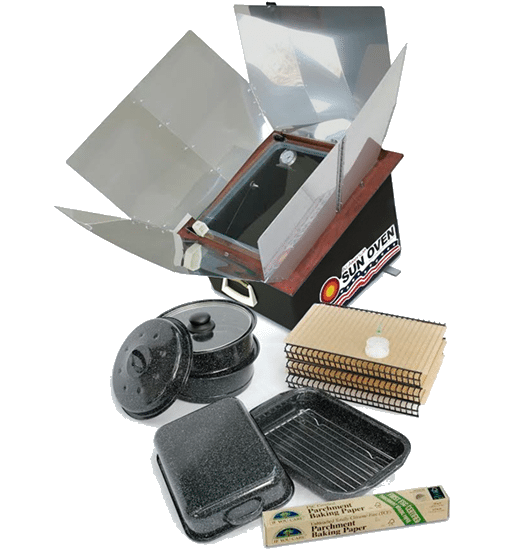 I have used and recommend the Solavore Sport Oven and the All American Sun Oven. They are both effective for cooking food and sanitizing water — they just have different designs. I compare and contrast both in this article. With either one, you get an excellent backup to your home’s stove/oven should the power go out and a portable oven for camping or picknicking. Both ovens come packaged with other products, so be sure to read the details carefully if you’re considering both. I know everyone thinks the really cool, heavy duty sleeping bags are the bomb, but over the years and on many camping trips, we discovered that our heavy bags were often too much. Our tent would become warm and soon we were sweltering in those bags. So, one day while camping in northern Utah, we came across something wondrous at their local Walmart: fleece sleeping bags. They were just the right weight for so many nights and have been used for Civil Air Patrol camp-outs and sleepovers. I even packed them when we went to Iceland, and boy, were we glad. They added a welcome layer inside our heavier bags on cold nights as we slept in our camper van. This particular bag in the photo isn’t the exact brand we own, that would be Ozark Trail, but it appears to be very similar, although in a rather oddly arranged position. I told you this was quite a mixed bag of gift suggestions, but this is kind of the year I had. A mash-up of family travel, trying new things, and making a point to be more hospitable. The busier we get, it seems, the less time we have for forming friendships, and that’s no way to live.